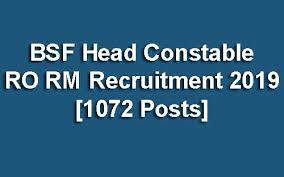 Latest News Update :04/17/2019 -BSF Head Constable Radio Operator and Radio Mechanic Syllabus, Exam pattern and preview papers download Through Below Link…. ► There will be a composite paper carrying 100 questions of 200 marks. ► Each question shall carry 02 marks and 0.50 marks will be deducted for each wrong answer. By this post, you can download b.s.f. HC Radio Operator and Radio Machine positions latest Syllabus PDF 2019 and latest Exam pattern 2019 PDF.